They do require going outside. You don't download these. Most hardware stores rent pressure washers. You can give any exterior surface of your home an incredible facelift in an hour's work. They're actually pretty easy to operate. Think of them as gas-powered super soakers. After you pressure wash your wooden deck, give it a day to dry. Then use a pump sprayer (~$25) to stain the wood. You can get transparent stains that won't change the appearance of your deck, but you'll need to reapply every year. They're like sandboxes, only you plant flowers in them. They actually have real benefits to gardeners, one being that they extend the growing season. Learn how to build one yourself in this short how-to video. But it doesn't have to mean less dancing. Yeah, there's a planter for that. 5. 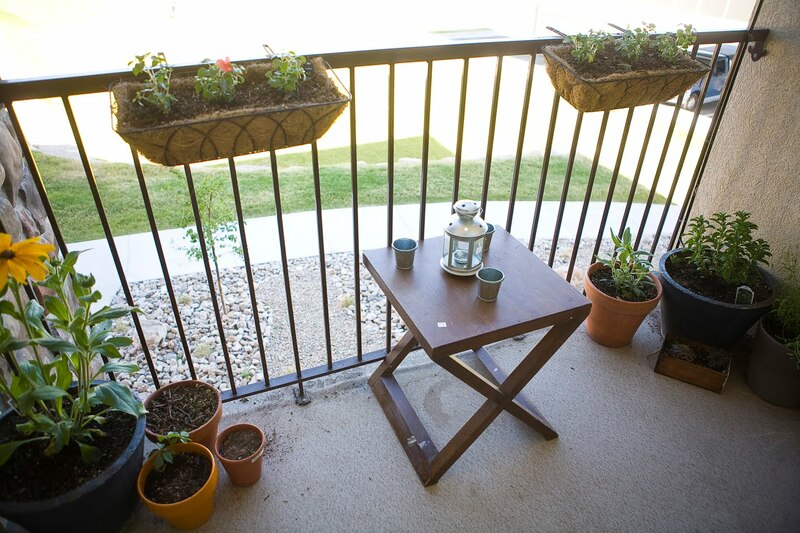 Create your own patio benches with storage bins and plywood board. If she can turn this drab NYC apartment balcony into a cozy outdoor retreat, so can you. 6. Build a fire pit. A well-constructed fire pit can raise your property's value. They're extremely popular at winter parties.